Leading Manufacturer of printed packaging pouches, printed packaging rolls and plain silver metalise pouch from Erode. Features This Laminated Roll is for automated form fill and seal machines packaging their products. 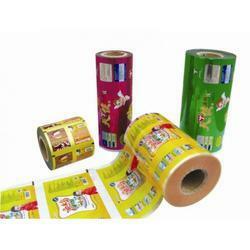 Laminated pouches that find application in meeting the packaging demands of different products. A variety of material structures are available to make pouches attractive. Pouches can be plain or multi color printed. Pouches of various types offer different dimensions to branding. 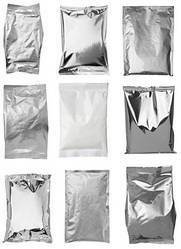 Pouches facilities can made customized such as side sealed, center sealed, side gusset, stand up, Re-usable pouch and pouches . These pouches are perfect for meeting the packing demands of all types of personal care products as well as products in powder form. Among many advantages, one that is the most likes is its delivering excellent printability and easy tearing material quality, thus, making these pouches highly preferred in the markets.